Alma Express is a local courier company based in Khobar, Saudi Arabia. Looking to expand their client base and raise awareness about the brand and services offered, I was asked to create attractive flyers to be passed out at universities, gas stations, coffee shops, etc. 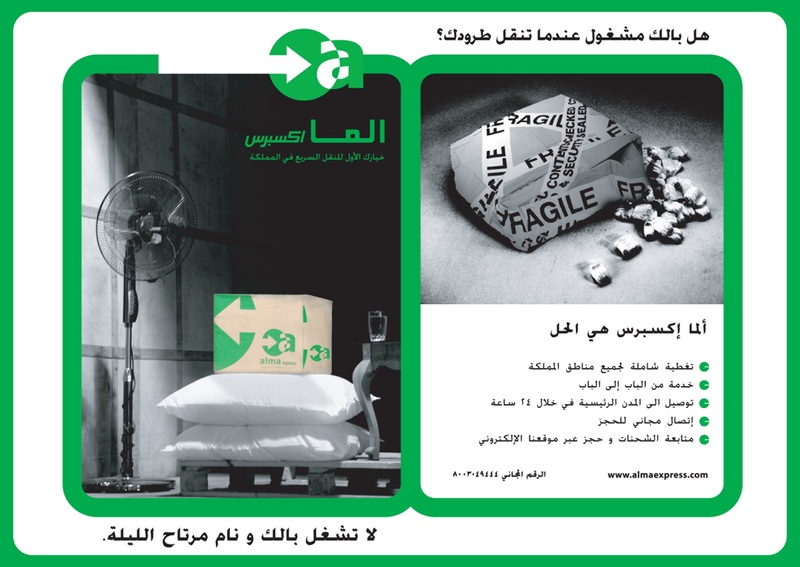 Concentrating on the idea of taking care of your packages, the flyer expresses the main objectives and services offered by Alma Express. Using the company colors and logo, the flyers are easy to read and eye catching. Alma Express is a local courier company based in Khobar, Saudi Arabia. Looking to expand their client base and raise awareness about the brand and services offered, I was asked to create attractive flyers to be passed out at universities, gas stations, coffee shops, etc. 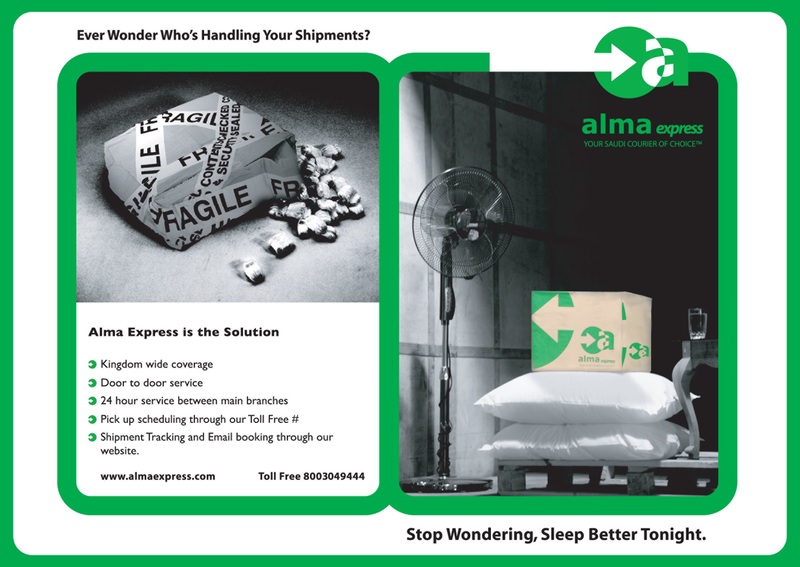 Concentrating on the idea of taking care of your packages, the flyer expresses the main objectives and services offered by Alma Express. Using the company colors and logo, the flyers are easy to read and eye catching.